STAINLESS STEEL WORK SURFACE AND STORAGE BASE. 24" ICE BIN (11 INCHES DEEPS) HOLDS 95 LBS OF ICE. SPEED RAIL. FOLDS UP INTO 62"X20"X28"-APROX 140 LBS. ON WHEELS. 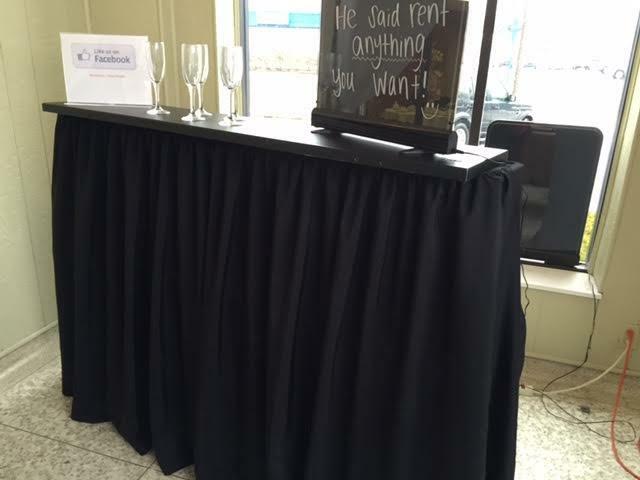 * Please call us for any questions on our bar 5 ft stowaway rentals in Kalamazoo MI, and Southwestern Michigan.